In Italy, pursuant to Article 679 of the Italian Civil Code, there is no way to waive the right to revoke or change the testamentary dispositions; a term or condition in this sense will not have any effect. The express revocation can be made only with a new will, or with a document received by a notary in the presence of two witnesses, in which the testator personally declares to revoke, in whole or in part, the previous testamentary disposition. The total or partial revocation of a will can be revoked with the same forms. In this case the provisions revoked are again valid. Pursuant to Article 682, a new will that doesn't expressly revoke the old last wills, can only revoke the arrangements which are incompatible. The holograph destroyed, in whole or in part, shall be deemed revoked in whole or in part, unless there is an evidence that it was destroyed by someone other than the testator, or there is the evidence that the testator didn't have the intention to revoke it. 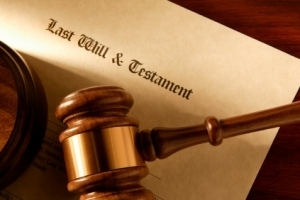 The last will made by the person that at the time of the testament had no children or was unaware of having children, is revoked by law for the existence of a child or its occurrence, unless the testator has ruled in order to exclude the revocation in this case.